Tiger Woods has for some time been America’s most high profile Buddhist, not that he paraded his religion as tends to be the norm with American celebrities who ‘accept the Lord’. Now that he is in the news beyond the sports page, unfortunately not for anything particularly noble, this has focused attention on Buddhism. One commentator recently said, “I don't think that faith (i.e. 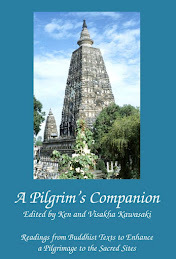 Buddhism) offers the kind of forgiveness and redemption that is offered by the Christian faith. So my message to Tiger would be, ‘Tiger, turn to the Christian faith and you can make a total recovery and be a great example to the world.”’ These words have created something of a stir amongst American Buddhists and others, although I don’t know why. The person who said it is a commentator on Fox News, and Fox News is to objectivity and integrity what a demolition gang is to an architectural firm. I don’t know to what extent Woods is a Buddhist. In an interview in 1996 he said, “I believe in Buddhism. Not every aspect, but most of it. 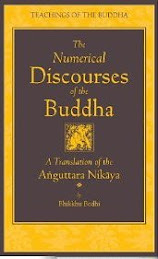 So I take bits and pieces.” This could point to careful consideration of the Buddha’s teachings and an inquiring that is ongoing but not yet complete, and this would be quite in keeping with the spirit of the Dhamma. 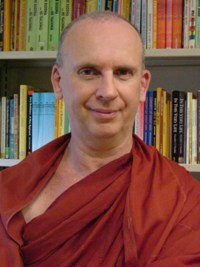 Or it could point to that disgusting and dishonest old copout “I practices those parts of my religion I like and ignore those parts that don’t suit me.” Woods’ other comments about Dhamma does not suggest a deep faith in the Dhamma. “I don't believe that human beings can achieve ultimate enlightenment, because humans have flaws.” If you do not accept the possibility of human enlightenment then that pretty much reduces Buddhism to little more than a system of self-improvement. However, to what extent Woods understands the Dhamma and takes it seriously I cannot say. I hope his knowledge of it is deep and his commitment to it is strong, despite his recent failings. If it is, it will certainly help him recover his balance after his recent problems and to learn from them. I wish him well. "Or it could point to that disgusting and dishonest old copout “I practices those parts of my religion I like and ignore those parts that don’t suit me.”"
Didn't the Buddha teach, that you shouldn't believe something, because he said it, it is written in ancient texts or wise men say so, but only in teachings which you find for yourself useful? So I wouldn't consider such a statement as not "disgusting and dishonest". I think just following the rules without the right intention doesn't work, though. However, I think history proofed very well that just calling yourself Buddhist doesn't make you better. Brit Hume said: "My sense about Tiger is that he needs something that Christianity, especially, provides and gives and offers. And that is redemption and forgiveness." I read a study somewhere that said something along the lines of those who felt they had God’s forgiveness were less likely to seek out the forgiveness of those they had wronged. I do not buy the savior concept. It is so sweet, so noble, so sacrificing, so martyrdomic, so palatable, and so charming that someone would die for your sins and save you from everlasting BBQ in hell. The concept of ‘forgiveness and redemption’ is flawed when it absolves the transgressors of any blame, responsibility and accountability. It was constructed to relieve transgressors the need to ‘suffer’ for the wrongs they had committed. Imagine if I just hurt somebody or worse killed him and walk away to ask my own God for forgiveness and redemption. What Christianity provides is an escape, the shirking of responsibility and accountability, the sense of remorse, the guilt of transgression, and the common sense that one has to ‘pay’ for one’s transgression, not by another. Forgiveness cannot be given by another person or divine being. It has to come from the person being hurt or wronged. This delusion or illogical construct is where Hume’s sense does not make sense. Do you think it makes sense for me to forgive Hume's senselessness? I thought it would have been clear that I covered what you are talking about in the first of the two possibilities. The difference between the two is that the first is considered and thoughtful while the second is about insincerity. Well-said! Your last paragraph above says it all and explains the flaws in the forgiveness doctrine very well. Tiger said: “I don't believe that human beings can achieve ultimate enlightenment, because humans have flaws.” This statement is not technically wrong. As long as there are flaws (i.e. defilements), Enlightenment is way off the course. The key phrase is ‘humans have flaws’ not ‘human cannot achieve Enlightenment’. Whether Tiger is a Buddhist or not is immaterial as Buddha never labelled any of his followers as Buddhists. If what Tiger did was true by the ‘veiled’ statements he made so far, one can say that he did not observed one of the precepts or two if he lied or three if he was intoxicated but not clubbed as he drove out of the driveway. That being so, Tiger cannot be ‘Buddhist’ and so are those who called themselves Buddhists but never observed the precepts. What about those who have never heard of the Buddha but nonetheless have never killed, stole, lied, cheated their wives, or drank alcohol? It would come to the question. 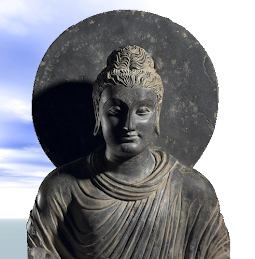 "Is the term Buddhist non-Buddhist important or the resolution to find the most noble way(benefiting self and others) to think and behave? A couple of years ago I stopped calling myself a Buddhist after certain meditative experience. 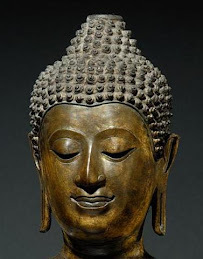 That Buddhism exists as a religion, as a phylosophy, as a set of ethical values is fine, because it offers an opportunity to people to learn Dhamma and set on a journey along the Path, proposed by the Buddha. But at a certain stage of that Path labels no longer matter, religious ceremonies and procedures lose all meaning, and what remains is exactly the second part of your question.